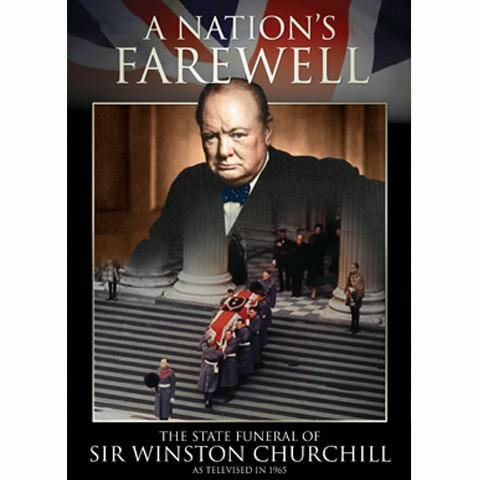 This remarkable DVD of Sir Winston Churchill's State Funeral shows more of the original broadcast of January 1965 than ever before. The coverage bears witness to the reverence for Britain's great war-leader, shown in every gesture and every word by all those who took part in the nation's tribute on that bitterly cold day. An historic document, this television recording employed the technology of the day to capture the sights and sounds of Britain’s farewell to one of her greatest sons. The original material comes from the archives of ITV, one of the two television companies then broadcasting in the United Kingdom. "... we were seeing London as it had never been seen before and perhaps as we might never see it again. Tears were never far away." P.T.A Bevan, Independent Television’s Chief Engineer.